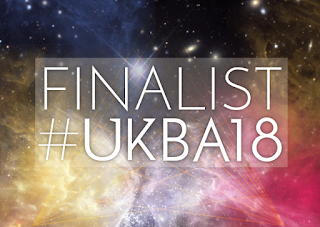 Home ASC ASD Asperger's Syndrome autism Autism Spectrum Disorder challenging behaviour classic autism Pathological Demand Avoidance PDA PDA info VCB Does my child have Pathological Demand Avoidance? 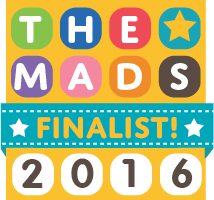 Lately there seem to be more and more parents asking about whether their child has Pathological Demand Avoidance. Sometimes a question is posed as to whether PDA is actually a real condition, given that so few practitioners seem to diagnose it, so I thought I'd try and throw some light on it all. First, let me try and explain in a nutshell what Pathological Demand Avoidance (PDA for short) actually is. 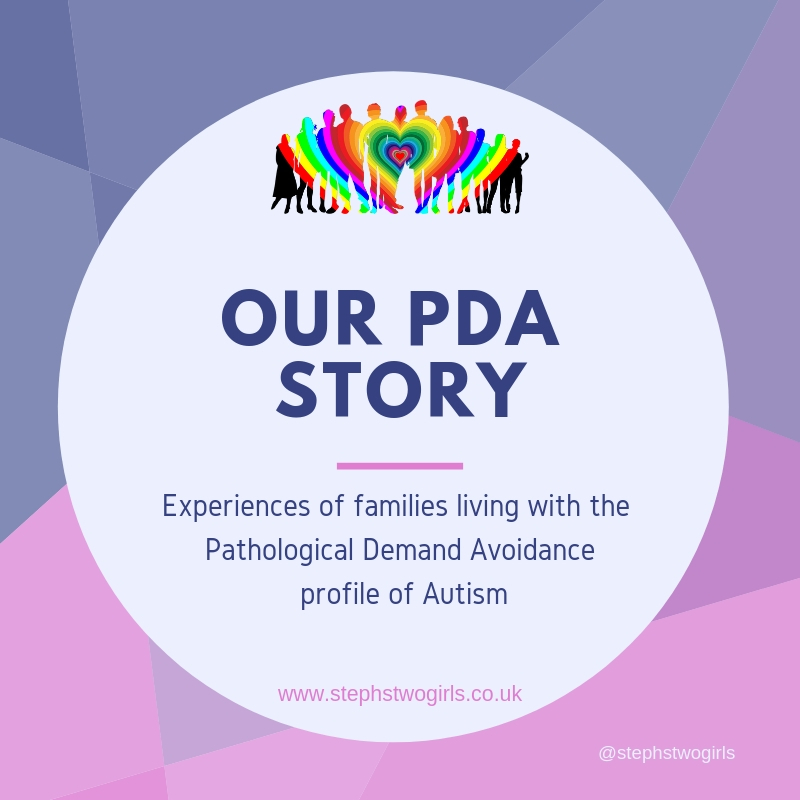 The PDA Society call Pathological Demand Avoidance a 'profile of autism' and the National Autistic Society say it's a 'behaviour profile within the autism spectrum'. 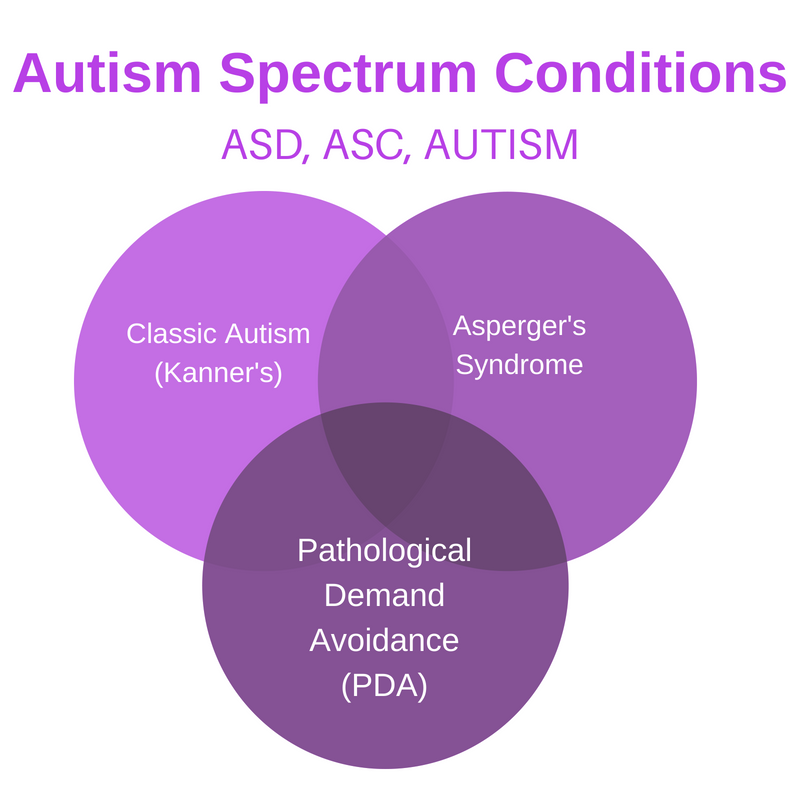 Personally, I've described PDA as a sub-type of autism, on a par with Asperger's Syndrome/high-functioning autism* and classic autism (occasionally known as Kanner's Syndrome). People on the autism spectrum have difficulties in three main areas: social communication, social interaction and restrictive or repetitive patterns of behaviour. Those with the PDA profile are said to have one extra characteristic in particular which they all share - their avoidance of everyday demands made by other people, due to their high anxiety levels when they feel that they are not in control. Elizabeth Newson was an international expert in autism who first identified Pathological Demand Avoidance (PDA) back in the 1980s. Her first peer reviewed publication on PDA appeared in the British Medical Journals back in 2003, entitled 'Pathological demand avoidance syndrome: a necessary distinction within the pervasive developmental disorders'. In 2010, PDA research led by Francesca Happe began at Kings College in London and more research by other eminent practitioners was published between the years of 2013 to 2015. So if we consider that Asperger's Syndrome was first described in the 1940s, forty years previous to PDA, but only really began to be talked about and discussed more in the 1980s, then we can see that Pathological Demand Avoidance is following a similar trajectory. This question often comes from parents whose children are diagnosed with autism or who are suspected to be autistic, because some or all parts of the three main areas of difficulty have already been identified. So this could be problems with communicating, or struggles to relate to other children of their own age, or fascinations with certain unusual areas of interest, for example. For these parents I'd suggest Comparisons to other profiles of ASD as a starting point, and then the Extreme Demand Avoidance Questionnaire (EDA-Q). This is a ticklist which would give an indication of whether someone might be considered to have PDA. It is not a diagnostic tool on its own but can be very helpful in highlighting where a child may experience differences from their peers. Can you have PDA and not be autistic? This question about PDA is asked by some who don't believe their child is autistic. 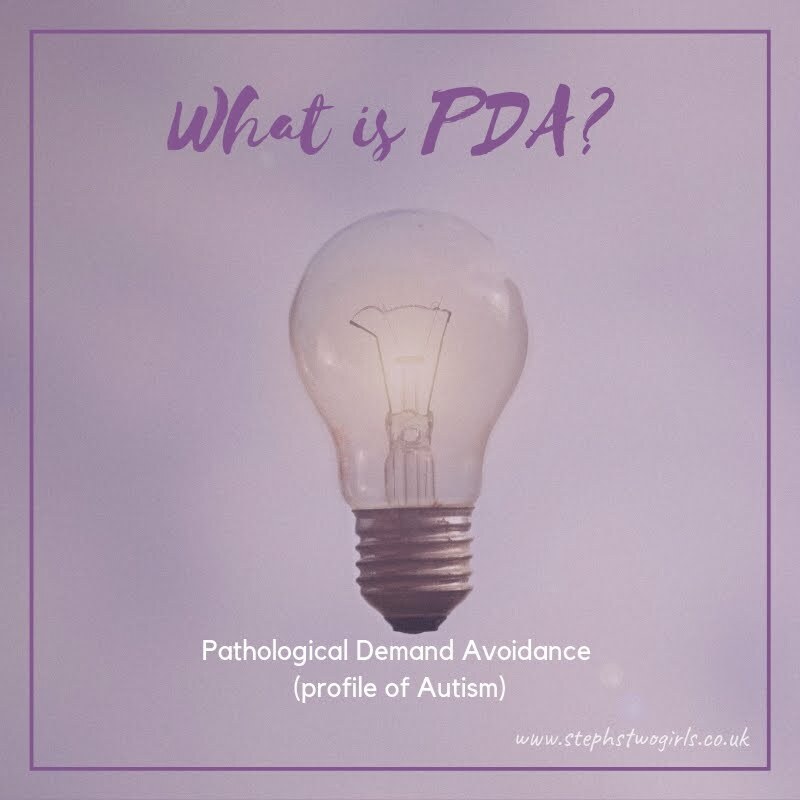 So far as research has shown up until this point, it is assumed that PDA is a condition which is part of the autism spectrum - that is to say, you cannot have PDA (or be a PDA-er, a term also used) and not be autistic. However some PDAers may be so good at masking that their autistic characteristics are difficult to spot. Indeed, some of the PDA characteristics are so different to those of others on the spectrum - for example, appearing sociable and being comfortable with role play - that they can hide the real needs and the underlying anxiety. 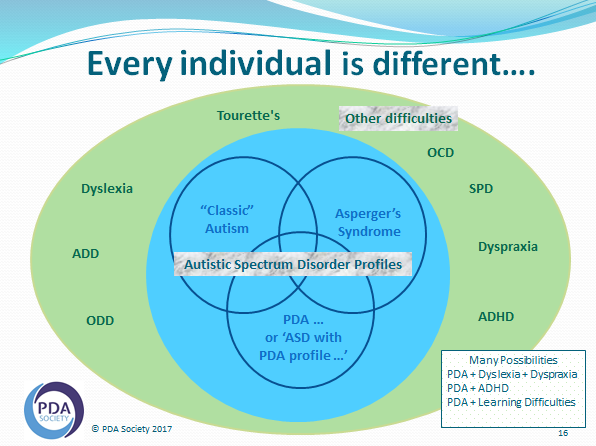 The image below, created by the PDA Society, shows the autism spectrum conditions in the middle, in blue with overlapping circles. The conditions in green are what is known as co-morbid conditions. That means they can be present alongside autism spectrum conditions, but they can also be diagnosed alone. 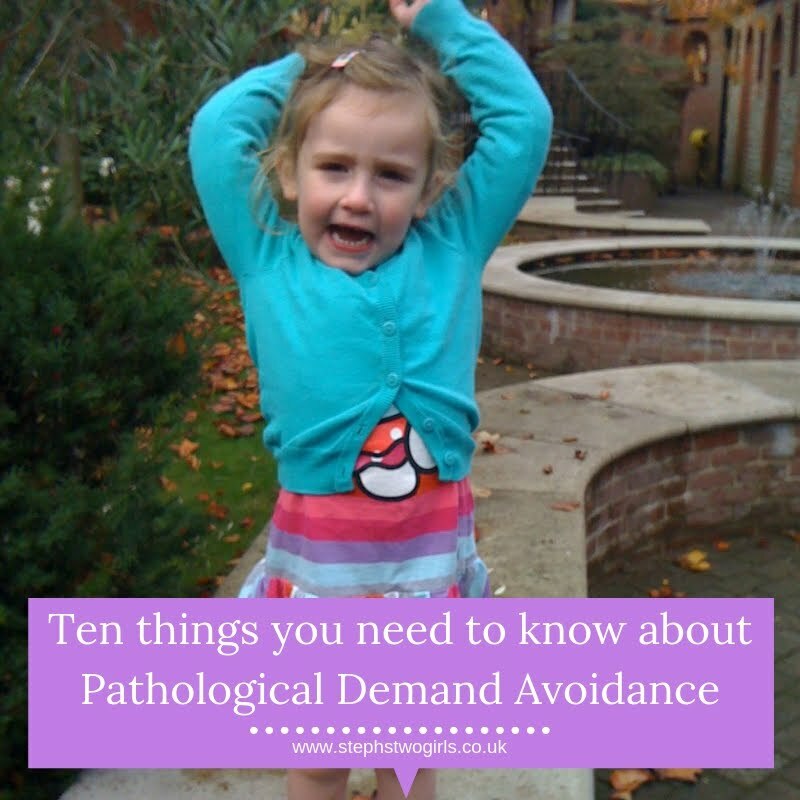 Demand Avoidance or Pathological Demand Avoidance? The previous section leads on to the subject of demand avoidance as a whole, and how we determine who actually has PDA or where that 'line' can be drawn. Many children show signs of demand avoidance in its simplest form - that is to say, not doing something adults want the child to do which the child themselves doesn't want to do. The difference for those with PDA is that it is an inbuilt need to avoid demands due to extreme high anxiety, rather than a wish to not comply or a desire to be awkward or oppositional (which could sometimes be done for attention). 'Can't help won't' is a phrase often associated with PDA. There is a separate condition known as Oppositional Defiant Disorder which was first defined in 1980 - interestingly around the same time which Elizabeth Newson was doing her research. There is still much discussion and research to be done as to whether ODD is a valid diagnosis. In my post 'The Difference Between PDA and ODD' I cover all of this in a lot more detail. Just like other children, many autistic children can display demand avoidance at some level too. For example, those who experience difficulties with different sensory environments are likely to resist activities or daily life which affect them badly in a sensory way. When being taken out of their expected daily routine without the correct preparation, those with classic autism or Asperger's Syndrome may become distressed and try to avoid the new activity. Neither of these examples are the same as Pathological Demand Avoidance though. Pathological has a few meanings if you look online; unable to control part of their behaviour, extreme in a way that is not normal, or relating to or caused by a disease are just a handful of those. Some actively dislike the term 'pathological' and wish it hadn't been chosen. They suggest that 'extreme' should have been used instead. Extreme is a good word in this instance; those with PDA will sometimes go to extreme lengths to avoid everyday demands. They may be unable to agree to go and do their favourite activity even if they would actually really enjoy it, if a multitude of other demands have been placed on them that day and they no longer feel in control. It's not a case of choosing not to, it is being physically unable to cope with the level of demands. Careful planning and strategies are needed to get around this, and there should always be an escape route, or Plan X, Y and Z if necessary. Sometimes parents become such experts at using the strategies that their actions are barely noticeable. Lately there seem to be a couple of people popping up who are actively trying to disprove the idea that PDA exists. I'm not entirely sure why; whilst I agree that it is always good to carry on the discussion and research areas such as this further, I have no idea why anyone thinks that society would benefit from removing this category and assuming that all autistic children can be supported by using the same broad strategies. Most of my blog is dedicated to trying to explain how Pathological Demand Avoidance presents in our girl and so of course I am not going to be agreeable to the idea of removing these words as a descriptor. There is a blogger called Riko (who happens to be autistic) who has written a great post in answer to the attempt to discredit PDA as an idea. I strongly suggest you read that rather than me attempt to explain the mistakes in any other way - her post is called 'Please stop hurting PDAers'. I don't want to come across as evangelical in any way but I am passionate about trying to help other families who may be struggling. Sharing information about PDA strategies which are not aligned with typical parenting strategies is my main goal; I think society has been obsessed with the idea of supernanny and that there is only one way to parent (control) children for too long and it's about time there was a shift in thinking. Our girl was diagnosed with autism at the age of 2 and a half. The autism diagnosis made sense to us in some ways, but it didn't seem to give a full explanation of all of her behaviours. It was a couple of years after diagnosis when I stumbled upon the PDA contact forum online (now known as the PDA Society) and we experienced our 'lightbulb moment' when reading all the characteristics which were said to fit this condition. It felt as if we were reading about our own daughter. Within another couple of years we had Pathological Demand Avoidance behaviours added as a secondary line on our diagnosis and thankfully this has been accepted by everyone involved in supporting our girl so far. I'm one of only a handful of people blogging about PDA, but I appreciate that doesn't make me an expert. I can say that I'm an expert in my own child, as I know and understand her better than anyone else does due to the amount of time I have spent with her. As she matures, she will hopefully understand herself better too and be able to communicate more easily to help us understand even more. Whilst running training courses on behalf of the PDA Society for parents who suspect they have a child with PDA I met with a variety of parents and also adults diagnosed with PDA. In the eight years since our girl was diagnosed, I've spoken online with many other parents and adults diagnosed with PDA. Many of them have shared their experiences in my blog series called 'Our PDA Story'. Whilst I suspect there are more children who would be diagnosed with PDA given the right assessments, and if parents were listened to more closely, I don't subscribe to the idea of many parents 'jumping on the bandwagon'. PDA is a set of characteristics which need support in a very specific way; it is certainly not easy to constantly and consistently uphold PDA strategies. I think it's important to address the thorny issue around the word 'naughty'. Jane Sherwin wrote a brilliant book titled 'My daughter is not naughty' which sums up their family's experiences. It is occasionally suggested that some parents appear not to be able to manage their child's behaviour because they don't impose the right boundaries. As with the well-documented Disney ride pass systems, there may indeed be some who try to cheat the system; a small number of parents might not want to put stricter boundaries on their children and subsequently see behaviour getting out of control, then think that jumping to the PDA conclusion is an easy option. However, I believe that if such parents exist, they are in a minority. Practitioners should be trained to listen carefully to the full story from parents who appear to be struggling, in order to determine what the child's behaviour is trying to communicate. 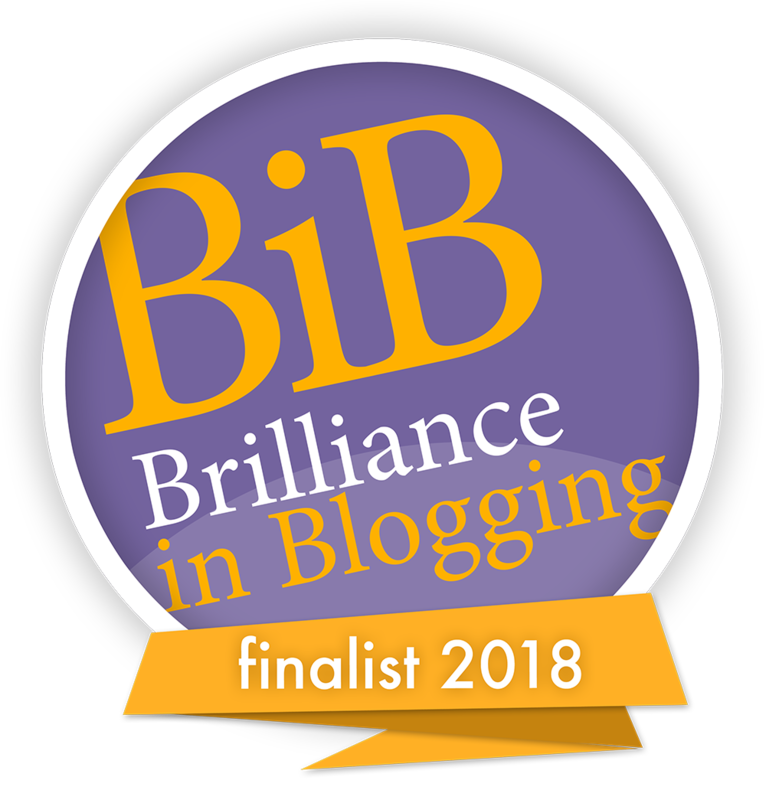 Some parents experience violent and challenging behaviour from their autistic children with (and without) PDA; for those parents I recommend a website set up by Yvonne Newbold which offers much support. As always, the first place I suggest anyone turns to when looking for information about Pathological Demand Avoidance is the PDA Society website. There is so much information on there, including a great post about the diagnostic pathway for PDA. Another useful website is the PDA Resource website. For further reading in book form, I've listed the books on PDA which I found most helpful when we started looking for more answers. If you have any further questions, please feel free to ask in the comments or via one of my other social media contacts. If you've found this post helpful it would help so many more families if you choose to share it in some way. 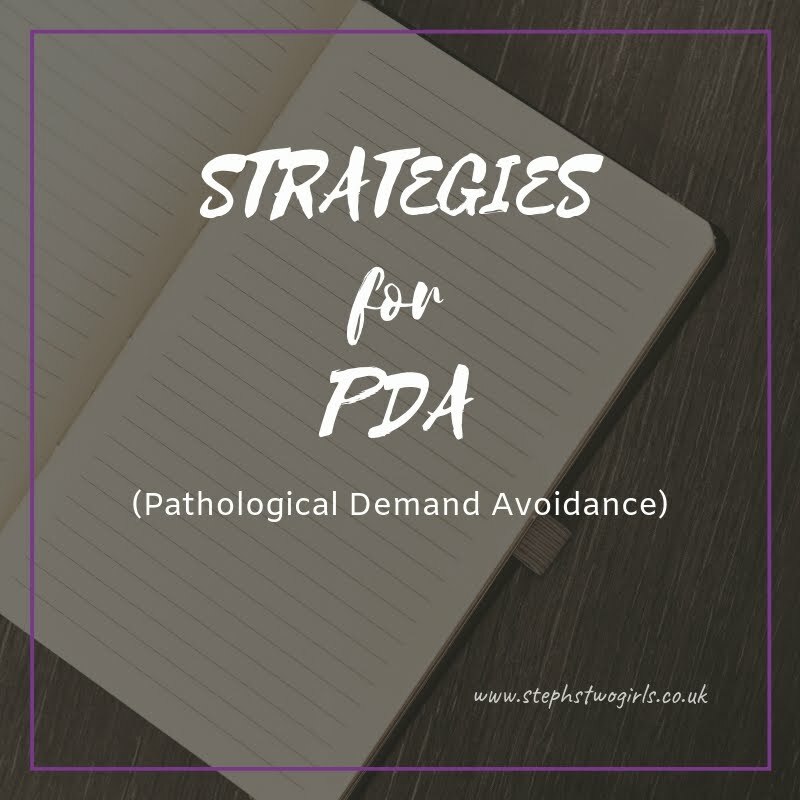 Likewise, my post on Strategies for PDA (Pathological Demand Avoidance) could help others, and the section titled PDA Info (at the top of my main page) has more posts with information about PDA. *a note to say that there are many who dislike the term 'high-functioning' autism and I agree. As I understand it, one of the conditions of an Asperger's Syndrome diagnosis is that there was no significant delay in speech or cognitive development at a young age, so this doesn't cover a whole group of children who are academically able but whose speech was delayed. To avoid this post becoming too long, I've tried not to go into too much detail on this language issue here. Thanks for all the info. I had never heard of pda despite attending a certifcate course in asd studies last year and having children with asd/aspergers. Very interesting reading and thanks publishing this info. Thank you for this! So much makes sense for me at this very moment. Its like I knew she was on the spectrum but since her symptoms were NOTHING like everyone associates with ASD I felt like I was making assumptions out of thin air. I'm hoping to start on a new path with this.